The headline reads very much like the culmination of a year which has not been a great one for technology giants Apple, but fortunately for the Cupertino (USA)-based company, the figures say that they are still a very highly-valued part of the technology industry, and CEO Tim Cook will not be too worried at his personal salary being so much lower than last year’s. Released by Apple in a ‘federal filing’ yesterday (27 December), it has been recorded that Cook’s annual earnings from the company totalled $4.17m for work done in 2012, though it is being directly compared to a 2011 personal income of $378m. However, it has been noted that the astronomical figures are mainly that of his extortionate signing-on bonus of $375m in ‘long-term stock awards’ that will be ‘vested’ over the next 10 years (with Cook reportedly cashing out in 2016 and 2021). This was part of the ‘largest single compensatory payout’ that a CEO has received in the past decade, signed when he stepped up to fill the void left by the then-resigning late co-founder Steve Jobs in August 2011. 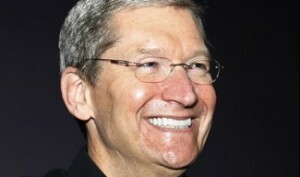 On salary alone, the records show that Cook has received double his his regular wage of $700,000, with all ‘Apple executives’ this year receiving a 50% pay increase for 2012 (taking his rounded base salary to $1.4m). and a further ‘200% bonus’ (an additional ‘$2.8m’), taking his direct wage earnings to the $4.17m recorded. While public perception of Apple appears to be declining slightly with every passing move, they still have a giant nest egg from which to fund their projects and people, but will Tim Cook and other high-flying executives soon have to settle for a little less?